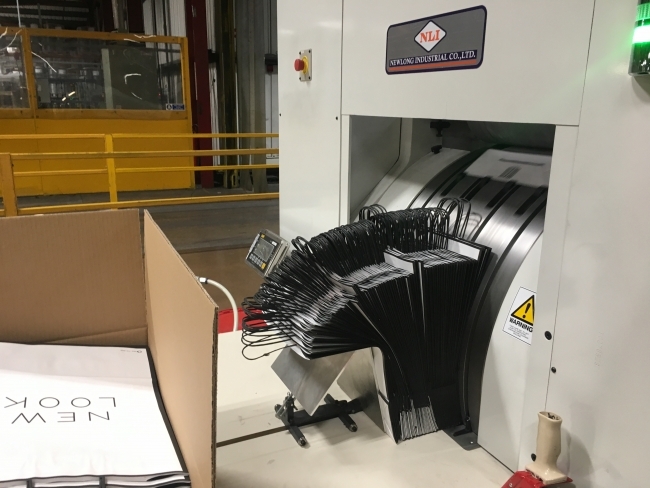 In addition to its traditional sector of festive wrapping and crackers, which it sells in volume to the big retailers, the company can now manufacture high-end paper twist bags at its base in Ystrad Mynach, near Cardiff in South Wales. “CCS McLays does a similar turnkey service offering for all goods not for resale (GNFR) but into high street fashion brands as well as other areas, such as single-source solutions. “They are complimentary skills, but slightly different markets. We are fundamentally about fashion on paper and we’ve built up the competencies to be best-in-class in printing and all of the various finishes. “The logic was how can we take those capabilities into a channel where we don’t have that expertise. We get access to a channel that we have no knowledge of and no representation in and we can sell volume. It works for CCS McLays because they have a professional well-invested and unique product capability and domestic supply. Ian Hall, CEO of CCS McLays, said: “We started talking about the impact of the 5p bag tax on the UK market and the change from polythene consumption to a more environmentally-friendly product. Most of the forward-thinking retailers are moving towards using paper. “There is also a lack of capacity in the world to produce this type of product and we talked about the fact it’s a product that has historically come from Eastern Europe or the near East, with very few UK suppliers. “We saw there was an opportunity with The Design Group as a local supplier and the two companies are already very closely aligned.